Ali grew up in Perthshire but now calls Fort William home and is constantly trying to convince friends to move there too! He works all year round in the outdoors and has done so since leaving school. 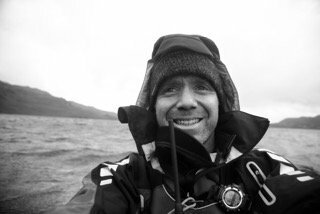 He’s lead expeditions on every continent either sea kayaking, mountaineering, rock climbing, white water kayaking or sailing and continues to work on overseas expeditions as well as contracts for the British Antarctic Survey. He firmly believes that Scotland has some of most beautiful scenery and adventures to be found and loves the fact he can still find new places to explore in his own country. He finds that exploring the same area by different means (by foot, by kayak) gives a deep sense of place and understanding of an area – best pondered over a strong coffee or single malt!